Makwavarara Zifikile, Magosvongwe Ruby, & Mlambo Obert Bernard. (Eds). Dialoguing Land and Indigenization in Zimbabwe and Other Developing Countries: Emerging Perspectives, University of Zimbabwe Publications, Harare, 2015, 380 + xix pp. Mlambo Obert Bernard, and Zimunya, Clive Tendai. 2016. Rethinking the Role of Group Thought in Religious Violence and Extremism, in (Eds.) Joachim Kuegler and Johannes Hunter, The Bible and Violence in Africa, University of Bamberg press, Bamberg, 59 – 74. Mlambo, Obert Bernard. 2015. Images of Masculinity and Militarism in Veteran Land Movements in Contemporary Zimbabwe (2000-2008), and the Late Roman Republic: Towards a Global History, In: Makwavarara, Z., Magosvongwe, R., & Mlambo, O. B. (Eds). Dialoguing Land and Indigenization in Zimbabwe and Other Developing Countries: Emerging Perspectives, University of Zimbabwe Publications, 168 – 183. Mlambo, Obert Bernard and Zimunya, Clive Tendai. 2015: Looking within: Africa and the Obstacles to the uptake of Indigenous Knowledge Systems, in Kenneth C. Nwoko, Omon M. Osiki Eds. Dynamics of Culture and Tourism in Africa: Perspectives on Africa’s Development in the 21st Century, Babcock University Press, Ilishan-Remo, Ogun State, Nigeria, 317 - 338. Obert Bernard Mlambo and Wesley Mwatwara. 2016. Moral Arguments for Land Redistribution in Contemporary Zimbabwe and Gracchi Rome: A Comparative and Critical Analysis, Journal of Pan African Studies, vol.9, no.2, 81 -99. Maposa RS and Mlambo, Obert Bernard. 2016. Hermeneutic of Liberation Theology and Student Protests at the University of Rhodesia, 1965-1980: Lessons for Academic Freedom in Contemporary Zimbabwe, Journal of Academic Freedom, CODESRIA, Dakar. 18 pages. Mlambo, Obert Bernard and Chitando, Ezra. 2015. Blair, keep your England, and let me keep my Zimbabwe: examining the relationship of physical space and political order in Zimbabwe’s land redistribution programme (2000-2008), (Ed.) Journal of Pan African Studies, Vol 8 No. 8, 8 – 26. Zimunya, Clve Tendai, Gwara, Joyline, and Mlambo, Obert Bernard, 2015. The feasibility of an Ubuntu ethic in a modernized world, Journal of African Foreign Affairs, Vol 2. Issue 1 & 2, 5 – 25. 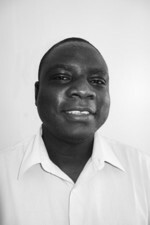 Mlambo, Obert Bernard. 2015. The Role of Music in the Age of HIV and AIDS in Zimbabwe. In: Creating African Futures in an Era of Global Transformations: Challenges and Prospects, CODESRIA 14th General Assembly Procedings 8 – 12 June/Juin 2015, Issue No., Dakar, CODESRIA publications, 1 – 12.